You don’t have to be a news junkie to know that the American job market presents a huge challenge for any job seeker–whether you are a new college graduate or a seasoned professional. The big question: What really works for job seekers? What separates you– successfully--from others who want to enter or re-enter the work force? 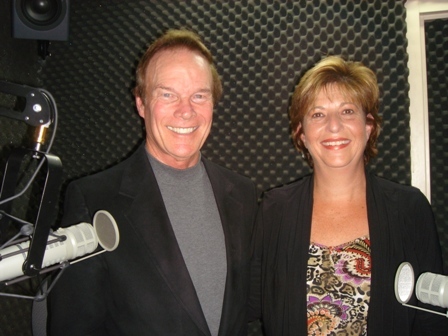 To find the answers and share them in “The Communication Corner”–the interview program I host weekly for WBCX, 89.1 FM, “The Voice of Brenau”–I welcomed internationally acclaimed career and job search expert Lori Davila, who provides her services from Atlanta, Georgia. Lori Davila provided her answers with vitality, clear how-to examples, and her obvious desire to help you get the job you want in the career slot that maximizes your talent and skill. This site offers the proverbial gold mine of resources for job hunters–some on a complimentary basis, others for purchasing, such as Lori’s books and coaching plan. I recommend that you pay special attention to the Success Stories section. Clearly, Lori is making a highly positive impact on the careers of people at all levels. Lori displays her contact information on both Web sites. To hear my interview with Lori, click the arrow below in the Podcast section of this blog page, located just above the Audio MP3 lettering. We welcome your comments and questions about careers and job searches. Just go to the end of the blog entry in the section below and click NO COMMENTS if none have been made, or if comments have been made click 1 comment, 2 comments, or whatever the comments button says. The comments section will appear.